I was watching the original Indiana Jones movie where he was a professor whom the girls swooned over when he wasn’t out chasing the Ark of the Covenant. In the films, Indiana Jones is the epitome of bright meets might or (Editor: Insert a cliché that doesn’t sound too clichéy but still rhymes). In the opening scene, Indy is disarming armed men with his whip, swinging over bottomless pits, and being chased by that big bowling ball thing as if he was a 7-10 split. And he does all of this while wearing a man purse. And it wasn’t just on the corner of his shoulder hanging down; he had it over his head and across his chest as if he were a woman afraid of being mugged. In this day and age, women's purses are getting bigger and bigger as their pants pockets get smaller and smaller. Women have the shallow pockets that they can fit a chap stick or a pack of gum in, but not both. Men do have the bigger pants pockets and some of them are so deep, they can carry a boat oar; once you start to fill them, they look like saddle bags and I feel like a pack mule so I just wish we had something to carry our junk in. The fanny pack was popular a few years ago; the only way you can get away with having one today is if you wear it with your Member’s Only jacket and parachute pants with a pager clipped to it. The man’s purse seems like the next logical step. 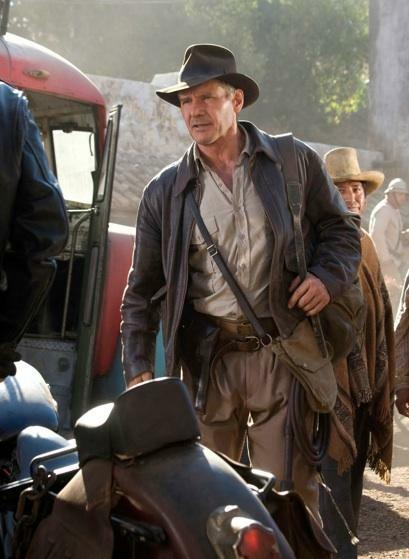 Dr. Jones wore one in the 1930s but the movie was actually made in the 1980s so it’s not exactly as old as it seems and it was a period film but it could have been an anachronism; I wonder if Harrison Ford wore the man purse off camera in his person life. The winter makes things easier as one can wear a big jacket with big pockets and house all of the wares one might need throughout the day. 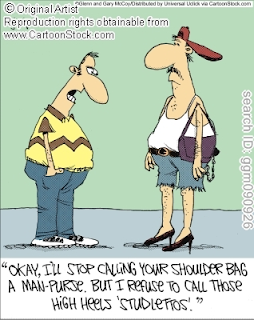 There are a few options men do still have: first, there is the knapsack. Most of them have places for keys, a book, business cards, Chapstick, condoms, deodorant, flash drives, the newspaper, a laptop, a water bottle, your wallet, and a map leading to The Holy Grail ; the wallet seems to be getting bigger and bigger and there’s no longer room for it in my pants. Everyone I meet has to give me their business card. My doctors all write the next appointment on a business card. 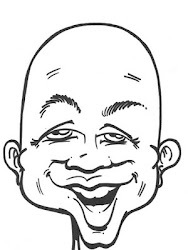 Grocery stores, movie theatres, pretzel stands, ice cream shops, the pool place, the book store, restaurants and my local bar all have a discount cards that I have to cram in my wallet with my seven credit cards, registrations for two cars, a library card, pictures of the kids, my license, the PBA card and my Justin Bieber fan club membership. My wallet has become a soft-sided filing cabinet compete with manila folders and those little plastic labels that always come off. When the wallet is in my back pocket, it feels I’m sitting on Merriam-Webster’s Collegiate Dictionary, Eleventh Addition. I tried the leather bag over the shoulder look but everyone thought I was auditing them. And when it rained, I had to cover it because it was leather and leather and water don’t mix which makes no sense as cows aren’t exactly indoor animals. And with the leather bag, I had to change the way I dressed to match the bag. I started buying sports coats with the patches on the elbows. And I started using words, like angst and perturbed and lugubrious. I always hated that pretentious guy; you know the guy I’m talking about. It’s even worse when you become what you despise which was ironic because I didn’t like me too much to begin with. I’ve run out of options and have started using the man purse. 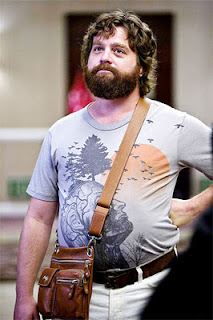 Of course I call it a satchel which was a popular term during the time of Shakespeare. I got a brown satchel in suede and I wear it over my shoulder and across my chest like Arnold with a string of bullets affixed in a similar fashion. And with the satchel, I don’t need to worry about carrying condoms.